Girl power is alive and dreamier than ever, thanks to the latest album from Beverly, a project composed of San Francisco native Drew Citron and former Vivian Girls/Crystal Stilts member Frankie Rose. The two met through mutual friends when Rose was recording her 2012 solo album Interstellar. She was in need of a backing vocalist at the time; Citron agreed and accompanied Rose on tour. 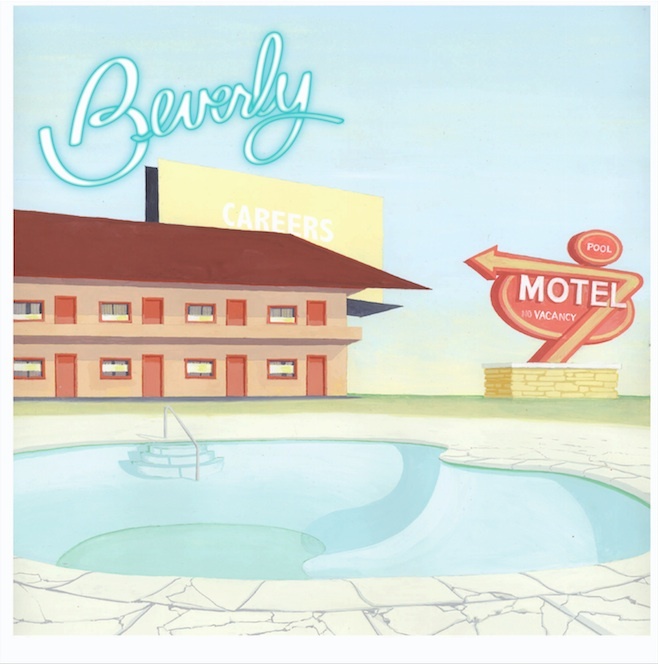 While on the road, the two alt-pop veterans teamed up to form Beverly. This vision can be heard throughout Beverly’s debut album Careers. In between fuzzed out guitar riffs and commanding drums, Citron coolly belts all the thoughts of a misunderstood kid. Although the subject matter isn’t anything new, Citron’s sweet and distant voice perfectly captures the feeling of teen angst that Careers was going for. As with every moody teen, the emotional range on Careers is vast. The album contains wild, angry noise-fests such as tracks “Albular” and “Planet Birthday”, which sound like a spoiled kid that didn’t get what they wanted. On the other end of the spectrum, Citron knows how to slow it down with dreamy, moody ballads soaked in harmonies like “Yale’s Life” and “Black and Grey”. Citron knows that no teenage wasteland album would be complete without a sickeningly sweet pop song like “Honey Do”. As the first single off the album, “Honey Do” has everything a teen pop song should: a head-bobbing beat, pissed-off guitars, and a catchy chorus that is sure to swirl around your head all day.